Spring landscaping tips from Sonoran Gardens Landscaping | Sonoran Gardens, Inc. Apply pre-emergent: weeds are already starting to come up and the pre-emergent should go down before the spring rains. It will keep your weed growth to a minimum. Be sure to read the label on any product you purchase. Start cutting back your plants that for adequate Spring growth. This should include all your “woody” plants including Lantana, Bougainvillea, Mexican Bird of Paradise, Yellow Bells, and Red Salvia. This year we experienced a catastrophic freeze event(s). To treat your plants it is best to wait to cut them back until they are beginning to show signs of re-growth. At this time you can cut back the dead limbs to the new growth. If the plant died all the way to the ground (as was often the case with lantana) wait until you see new growth sprout up, then cut the plant all the way to the ground. If your cactus has signs of frost or freeze damage there are a couple routes you can take. First, if the cactus is severally damaged and experiencing rot, it is best to remove the specimen completely and replace it when the weather is warmer. If the tips or small portions of the cactus are damaged these areas can be pruned off. The pruned areas should heal just fine, as long as the pruning occurs after any threat of cold weather. Finally if just the very tip of the cactus (columnar) has been damaged you can leave it. The cactus, typically, will generate new shoots from the dead growing point. Our Custom Care team working hard to keep your outdoor spaces looking their best! Flushing irrigation filters. We recommend doing this every quarter – typically around the changing of the seasons. 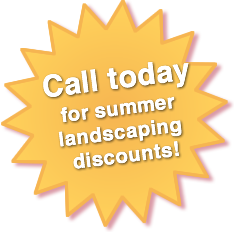 Sonoran Gardens has a team of irrigation experts that can do this for you. Please feel free to call us at 520-579-9411 with any questions or needs that you might have. If you found this information helpful, please feel free to share it with anyone!